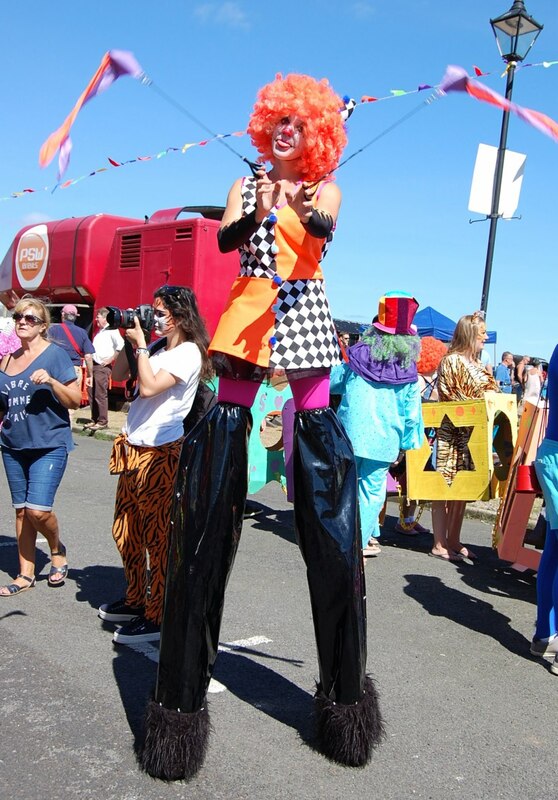 Costumed Character Stilt Walking Entertainment. 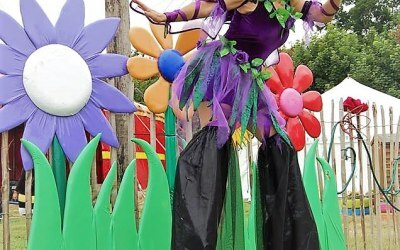 We have a fantastic range of stilt walking characters available. Hire us for your up & coming event and you will be adding a highly professional and exciting dimension. 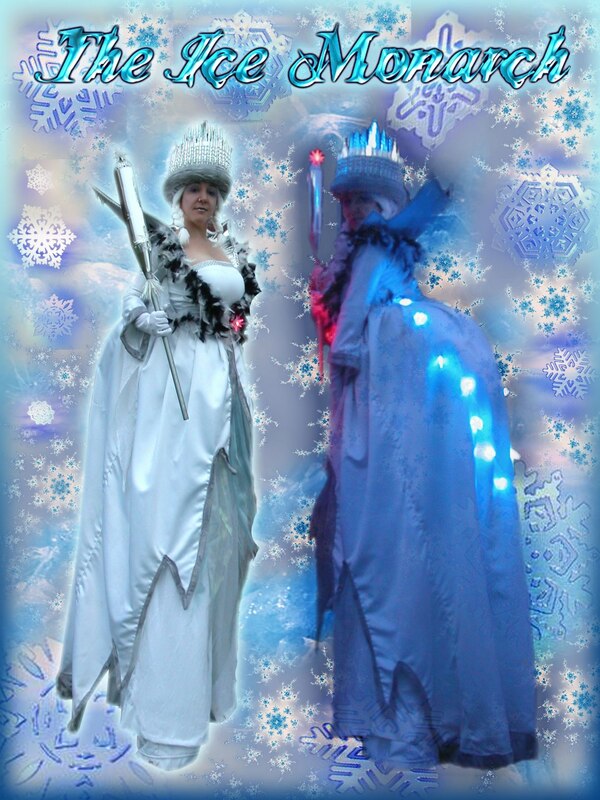 We are very interactive, confident, friendly and reliable and love performing in our creations. There's a wide range of characters to choose from, there's around 40 characters and counting. 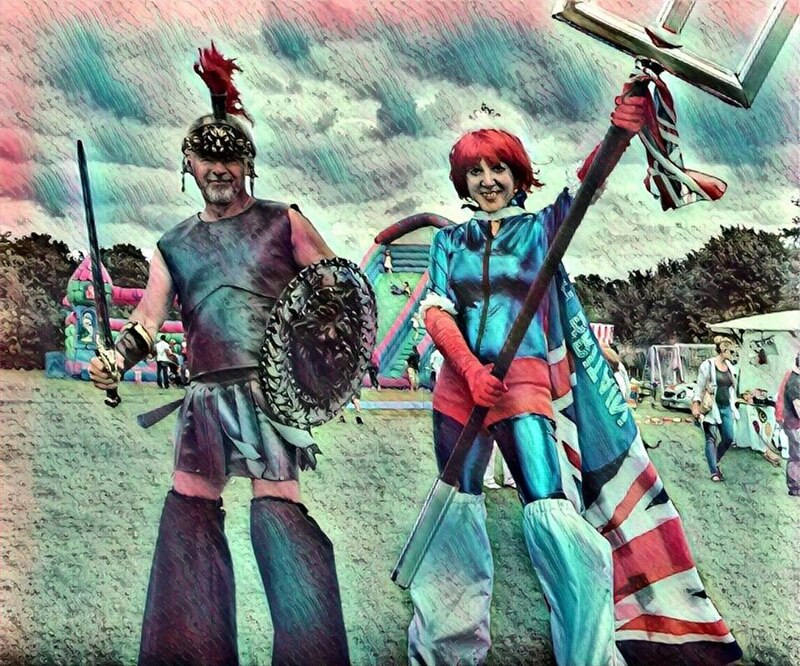 If you can't find what your looking for we may be able to create something that fits for your event. 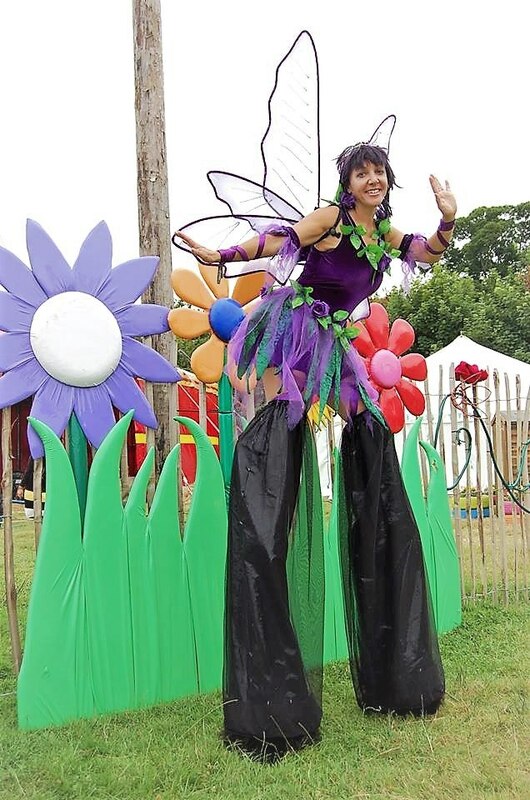 Entertaining in the way of walkabouts and stage performances. 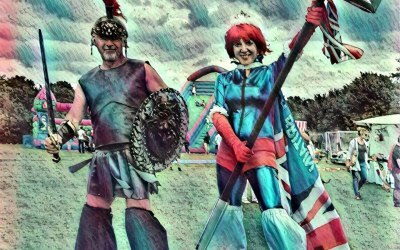 Included in this could be photos, dancing, leading processions or carnival parades, entertaining queues, handing out promotional items and generally putting on a show. 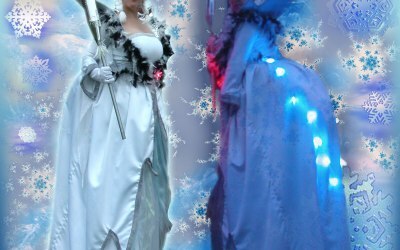 Our costumes are eye-catching with a range of exciting features such as LED's, E.L. Rope (flashing circuitry), large foam head pieces and original designs. 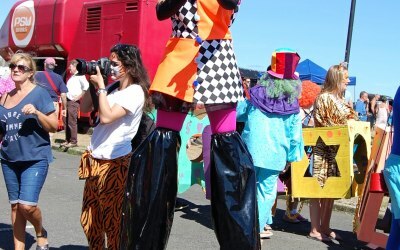 'Poi on stilts' is also possible with some costumes. They were great and really well received by the public. Great value for money. Thanks Toni, we had a great time. 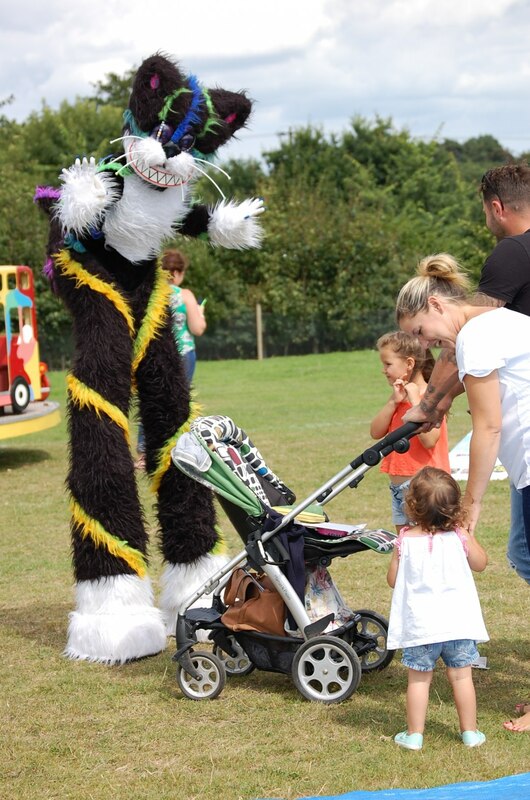 Would recommend Diddy Long Legs for any event ! 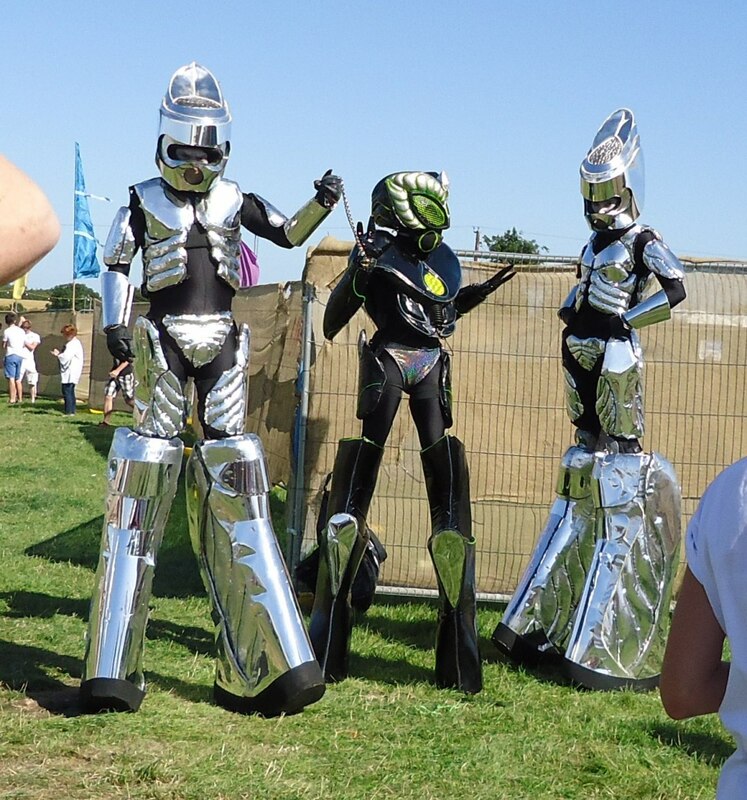 Amazingly spectacular costumes and interaction! Diddy Long Legs was absolutely brilliant throughout the afternoon. 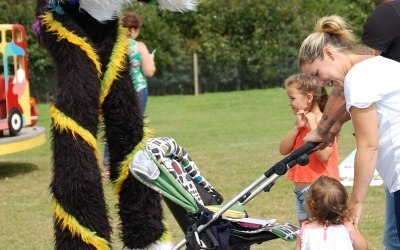 The children and adults were enthralled by the costumes and her interactions with everyone. A must at all events! Thanks kindly Diddy Long Legs. 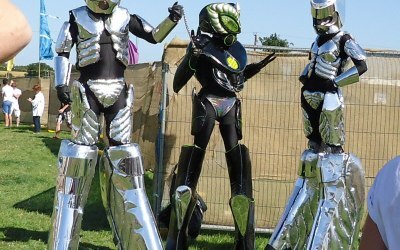 Get quotes from Diddy Long Legs and others within hours.